Say “Al Allen” in Metro Detroit, and people smile, thinking of the cheerful reporter who greeted them through their TV screens every morning… broadcasting live from frigid freeway overpasses, crime scenes, celebrations, and just about anywhere. “We’re standing by,” Al said countless times into his microphone, telling his producers back at the station that he and his cameraperson were ready to go on live TV before millions of viewers. With each chapter reading like one of his fast-paced news reports, We’re Standing By offers an exclusive peek through the human lens of this iconic newsman. It reveals how he saw things, while covering big city murders and mayhem, superstars and scandals, or breaking news events. He even shares some behind-the-scenes bloopers. Al also reveals that there’s much more than the man with the microphone; he’s a devoted husband and family man, father, and grandfather. And with courage and a commitment to mentoring, Al continues to help blaze new trails for African Americans and people of color in the news industry. 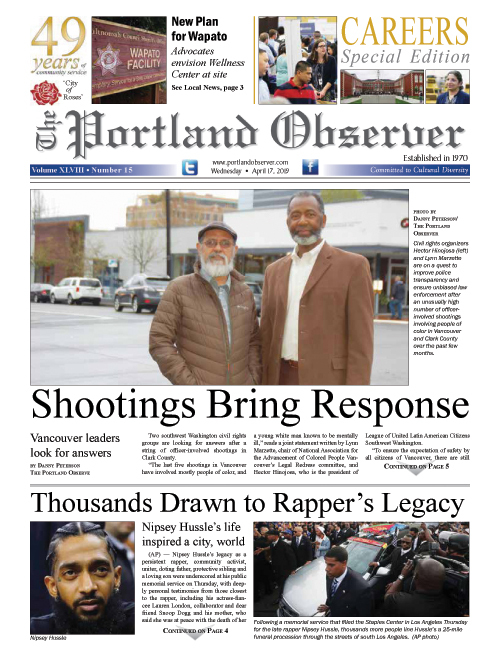 The book was recently shared with Portland Observer publisher Mark Washington.